Jeffrey Altman manages Owl Creek Asset Management, which started in June 2001 with best returns of 40% in 2007. It has a current portfolio of $2.03 billion with technology and service industry constituting majority of its current portfolio. Yahoo! Inc. (NASDAQ:YHOO), Liberty Interactive Corp (NASDAQ:LINTA), AstraZeneca plc (ADR) (NYSE:AZN) are the top three latest stock picks of Owl Creek Asset Management. (You can see complete list of Creek Asset Management’s holdings here). Yahoo! Inc. (NASDAQ:YHOO) is the largest new stock pick in Owl Creek Asset Management’s portfolio with 4,350,226 shares worth $152 million. Yahoo! 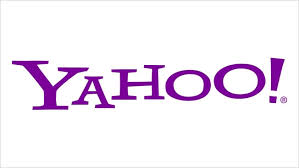 Inc. (NASDAQ:YHOO) reported net GAAP revenue of $1.08 billion with GAAP net earnings of 30 cents per share. D E Shaw is the biggest investor in Yahoo! Inc. (NASDAQ:YHOO) with investments worth $568 million followed by Jat Capital Management ($311 million) and Citadel Investment Group ($285 million). Liberty Interactive Corp (NASDAQ:LINTA) is another new addition in Owl Creek Asset Management with 4,470,733 shares worth $131 million. Liberty Interactive Corp (NASDAQ:LINTA) announced net revenue of $2.5 billion for the second quarter 2014 with an operating income of $255 million. FPR Partners is the largest investor of Liberty Interactive Corp (NASDAQ:LINTA) with $375 million in investments followed by Brahman Capital ($234 million) and Citadel Investment Group ($213 million). AstraZeneca plc (ADR) (NYSE:AZN) comes at number three in terms of the latest addition to the portfolio of Owl Creek Asset Management with investments worth $111 million and 1,494,000 shares. AstraZeneca plc (ADR) (NYSE:AZN) reported net revenue of $6.45 billion for the second quarter 2014 with core earnings per share of $1.30. Mason Capital Management has the largest stake in AstraZeneca plc (ADR) (NYSE:AZN) at $248 million followed by Arrowstreet Capital ($235 million) and Pentwater Capital Management ($141 million).